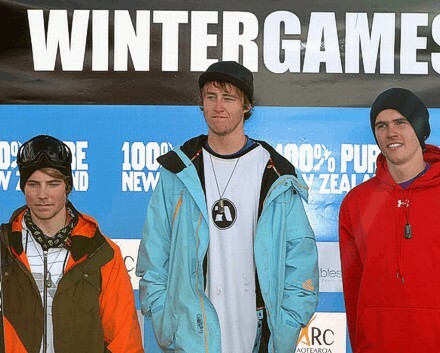 The inaugural 100% Pure New Zealand Winter Games began with the men’s and women’s freeski slopestyle event at The Remarkables. The world class slopestyle course was treated to clear weather conditions providing the athletes with a great start to the Games. First place in the Men’s Final went to Thomas Wallisch from USA with a score of 82.80, second place went to New Zealander, Jossi Wells, with a score of 82.40, and third place went to USA’s Bobby Brown with a score of 80.60. The close scores reflected the tightness in the competition, “It was a really tough call between Wells and Wallisch and the final decision came down to just the slightest mistake,” says Head Slopestyle Judge, Phil Larose. Thomas Wallisch was pleased to win the inaugural event, “I was really stoked with the win and it was a really fun event. I’m glad I got to come out and participate.” Jossi Wells, who finished a close second, was nevertheless excited to compete in a world class event in his hometown. “It is cool to have a competition at home and be able to bring all my mates to come down and do a competition in my backyard,” he said.